Hiring? Toptal handpicks top Ethereum developers to suit your needs. Gilad has 19+ years of Android experience in developing mobile, server-side, and communication systems. The goal of this article is to demonstrate how to create an ERC20 token in as little time as possible. Let’s start with the basics: What is an ERC20 token? ERC20 tokens are simple and easy to deploy, as you will see in this tutorial. The ERC20 standard solves a significant problem, as blockchain-based marketplaces and crypto-wallets need a single, standardized set of commands to communicate with the range of tokens they manage. This includes interaction rules between different tokens, as well as token purchase rules. It was the first popular specification to offer Ethereum token standardization. It was not by any means the first, but thanks to its popularity, it quickly became the industry standard. 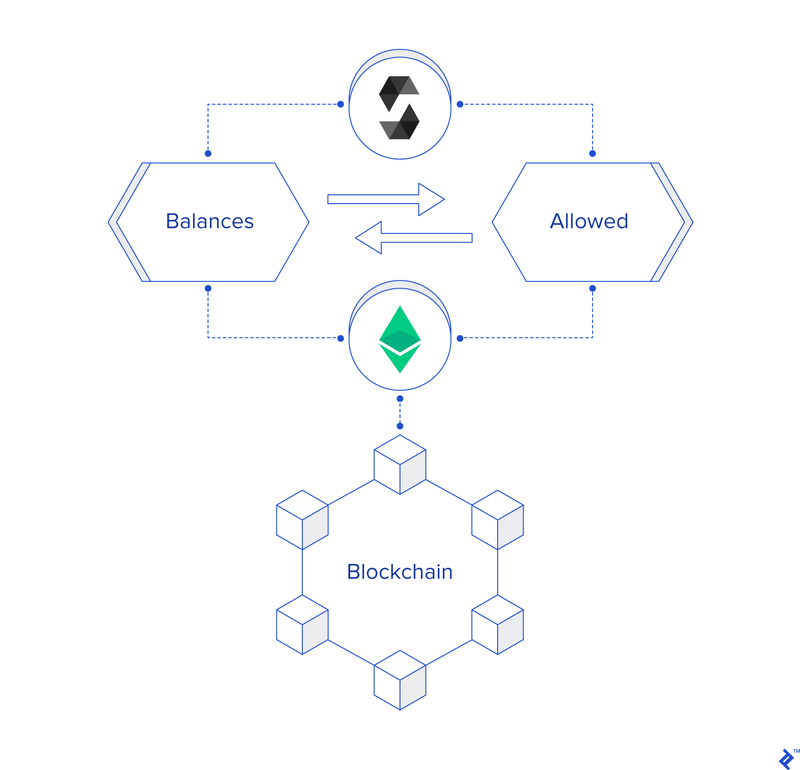 Just like other Ethereum tokens, ERC20 tokens are implemented as smart contracts and executed on the Ethereum Virtual Machine (EVM) in a decentralized manner. This is where the fun starts, as you should be able to start creating a simple ERC20 contract in no time. This is a straightforward task, simple enough that this article will demonstrate how you can write and deploy an ERC20 token in under an hour. The token we will be creating in this demonstration will be a bare-bones ERC20 implementation, without too many bells and whistles. However, I have seen many similarly simple tokens in the real world, and they tend to do quite well. 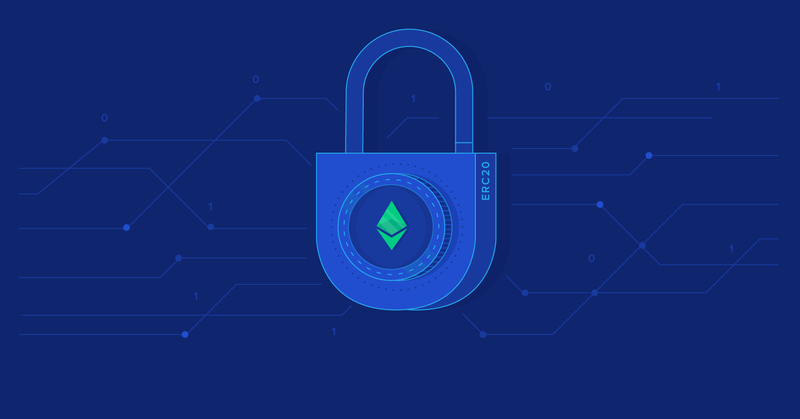 Put simply, the ERC20 standard defines a set of functions to be implemented by all ERC20 tokens so as to allow integration with other contracts, wallets, or marketplaces. This set of functions is rather short and basic. ERC20 functions allow an external user, say a crypto-wallet app, to find out a user’s balance and transfer funds from one user to another with proper authorization. These events will be invoked or emitted when a user is granted rights to withdraw tokens from an account, and after the tokens are actually transferred. In addition to standard ERC20 functions, many ERC20 tokens also feature additional fields and some have become a de-facto part of the ERC20 standard, if not in writing then in practice. Here are a few examples of such fields. Now that we’ve outlined the basics and explained what it takes to create an ERC20 token, it is time to start writing some logic. The expression mapping(address => uint256) defines an associative array whose keys are of type address— a number used to denote account addresses, and whose values are of type uint256 — a 256-bit integer typically used to store token balances. The first mapping object, balances, will hold the token balance of each owner account. The second mapping object, allowed, will include all of the accounts approved to withdraw from a given account together with the withdrawal sum allowed for each. As you can see, the value field of the allowed mapping is by itself a mapping plotting account address to its approved withdrawal sum. These mappings together with all other contract fields will be stored in the blockchain and will be mined resulting in changes being propagated to all network user nodes. Blockchain storage is expensive and users of your contract will need to pay for, one way or another. Therefore you should always try to minimize storage size and writes into the blockchain. Now that we have the required data structures in place, we can start to actually write the ERC20 logic into the appropriate functions. How do we set the number of ICO tokens? Well, there are a number of ways of setting the maximal number of ICO tokens and this matter might be worth a lengthy discussion by itself. A constructor is a special function automatically called by Ethereum right after the contract is deployed. It is typically used to initialize the token’s state using parameters passed by the contract’s deploying account. msg is a global variable declared and populated by Ethereum itself. It contains important data for performing the contract. The field we are using here: msg.sender contains the Ethereum account executing the current contract function. Only the deploying account can enter a contract’s constructor. When the contract is started up, this function allocates available tokens to the ‘contract owner’ account. This function will return the number of all tokens allocated by this contract regardless of owner. balanceOf will return the current token balance of an account, identified by its owner’s address. As its name suggests, the transfer function is used to move numTokens amount of tokens from the owner’s balance to that of another user, or receiver. The transferring owner is msg.sender i.e. the one executing the function, which implies that only the owner of the tokens can transfer them to others. Solidity’s way of asserting a predicate is require. In this case that the transferring account has a sufficient balance to execute the transfer. If a require statement fails, the transaction is immediately rolled back with no changes written into the blockchain. Right before exiting, the function fires ERC20 event Transfer allowing registered listeners to react to its completion. This function is most often used in a token marketplace scenario. What approve does is to allow an owner i.e. msg.sender to approve a delegate account — possibly the marketplace itself — to withdraw tokens from his account and to transfer them to other accounts. As you can see, this function is used for scenarios where owners are offering tokens on a marketplace. It allows the marketplace to finalize the transaction without waiting for prior approval. At the end of its execution, this function fires an Approval event. This function returns the current approved number of tokens by an owner to a specific delegate, as set in the approve function. The transferFrom function is the peer of the approve function, which we discussed previously. It allows a delegate approved for withdrawal to transfer owner funds to a third-party account. The two require statements at function start are to verify that the transaction is legitimate, i.e. that the owner has enough tokens to transfer and that the delegate has approval for (at least) numTokens to withdraw. In addition to transferring the numTokens amount from owner to buyer, this function also subtracts numTokens from the delegate’s allowance. This basically allows a delegate with a given allowance to break it into several separate withdrawals, which is typical marketplace behavior. We could stop here and have a valid ERC20 implementation. However, we want to go a step further, as we want an industrial strength token. This requires us to make our code a bit more secure, though we will still be able to keep the token relatively simple, if not basic. SafeMath is a Solidity library aimed at dealing with one way hackers have been known to break contracts: integer overflow attack. In such an attack, the hacker forces the contract to use incorrect numeric values by passing parameters that will take the relevant integers past their maximal values. SafeMath protects against this by testing for overflow before performing the arithmetic action, thus removing the danger of overflow attack. The library is so small that the impact on contract size is minimal, incurring no performance and little storage cost penalties. SafeMath uses assert statements to verify the correctness of the passed parameters. Should assert fail, the function execution will be immediately stopped and all blockchain changes shall be rolled back. In Solidity, a smart contract’s functions and events are wrapped into an entity called a contract which you can silently translate to a “blockchain class.” Below is the ERC20-compatible contract we created, including a Gist of our code. The name and symbol fields can be changed at will. Most tokens keep the decimal value at 18, so we will do the same. The time has come to deploy our contract to the blockchain. Following deployment, our contract will be transferred to all nodes participating in the network. Any and all changes made to the contract will be propagated to all participating nodes. Ethereum developers usually employ deployment tools such as Truffle. Even Truffle is overkill for the limited needs of this article, and a simple online tool called Remix will suffice. 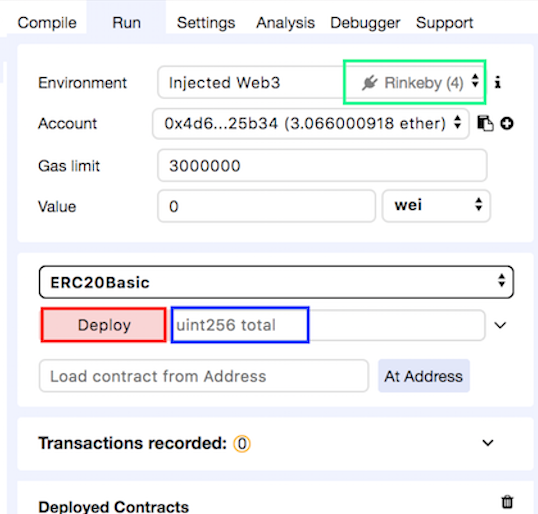 To use it, you will need to install the MetaMask plugin on your browser and a Rinkeby (Ethereum test network) account with at least some Rinkeby Ether in it. These are relatively simple steps, so we won’t go into detail. In case you don’t have either, head over to MetaMask and Rinkeby for download links and to get clear installation and usage directions. Now that we have all the building blocks in place, we will head over to Remix and paste the code above, including the pragma line and the SafeMath library, into the online editor. Then, we will hop over to the second tab to the right called “Run” and click “Deploy.” A MetaMask popup will appear asking us to confirm the transaction. Of course, we’ll approve it. Congrats! You have just deployed your first ERC20 token, like a true Ethereum professional. As promised, the token is simple and lightweight, yet fully functional, ERC20 standard compliant, and secured with MathSafe. It is ready to be purchased, paid with, and transferred throughout the Blockchain. Is that all there is to smart contracts? No, not even close, as our brief demonstration barely scratches the surface and deals solely with one aspect of smart contract development. Smart contracts can be much more complex depending on your business logic, your modeling of the user interaction, whether or not you allow token minting and burning, lifecycle changes you introduce into the contract, the need for admin-level capabilities which usually comes with an admin-authorized set of functions, and so on. You get the picture. Still, if you can replicate what we did here, that is a solid foundation to expand your knowledge and move on to more complex contracts when necessary. A smart contract is a piece of code executed on the Ethereum Virtual Machine. An Ethereum smart contract is immutable and can send or receive ether and data. Put simply, ERC20 tokens are contracts that implement the ERC20 standard. Operations handled by these contracts include getting the total supply and balance of tokens, and the methods used to transfer them. What programming language does Ethereum use? What does ERC stand for? ERC stands for Ethereum Request for Comment. The number 20 is assigned to this request, hence the suffix.